The application is open until February 16th. 2019! 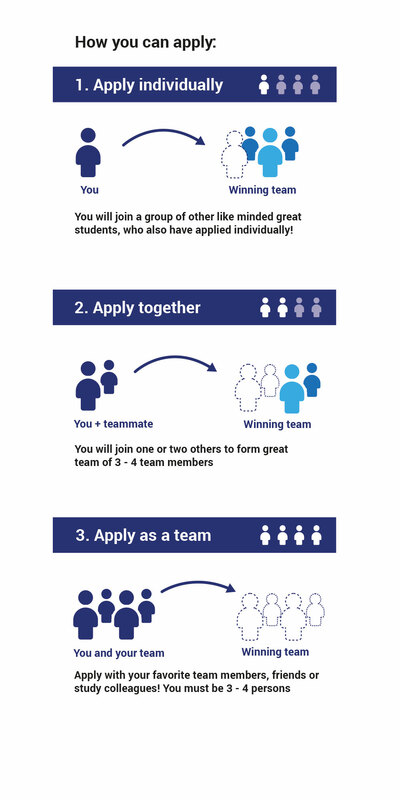 Participants can apply in teams, in pairs or as individuals, who will subsequently be put in a group. All the participants must be enrolled in one of the universities in Denmark. In the motivational letter you must include who you are, the reason behind the application and why you deserve to be elected as a participant in the case. For instance, you can focus on your professional interest, your competences or a particular working experience that will be significant in the competition. We will get back to you after the deadline date, to inform you if you are a participant for this semesters case competition. Deadline is to be announced. The value of the award may be taxable, which will be the winner’s responsibility to inform. By participating in AAU Case Competition you give your consent to and accept that AAU Case Competition and the third party can use the photos, which is taken at the competition, for advertising etc. in which you may or may not appear on. You accept that we are allowed to produce videos following the event, which you may appear on. The solutions developed under the case competition belongs to the company and not the students. You must bring your own computer. The company sets the case, but there is given free rein to find the solution. All tools are allowed – both books, online sources, reference material etc. Nonetheless, it is not allowed to receive external help during the competition. All materials concerning the case solution will remain in the room during the competition. Collaboration among the participant teams is allowed although plagiarism is not permitted. Cheating may lead to disqualification. Extension cables is not offered; you may bring it for yourself/your team. Your data could be shared with case corporations and collaboration partners. 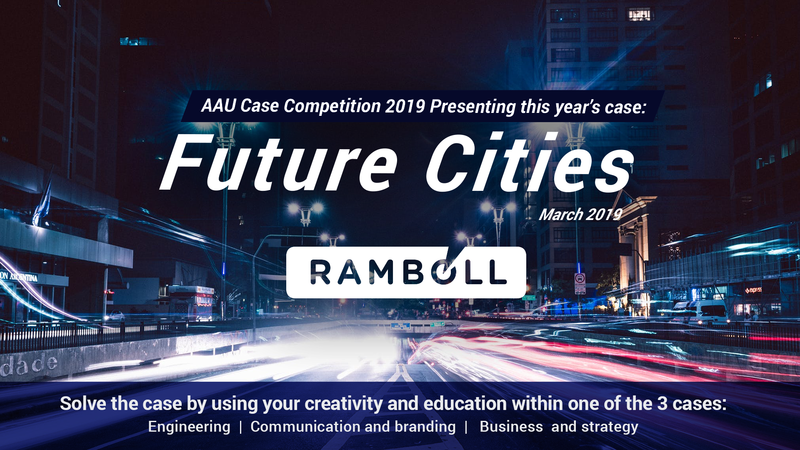 By participating in AAU Case Competition you give your consent to and accept, that AAU Case Competition and the third party can use the photos, data and information, which is and supplied/taken at/for the competition, for advertising etc. in which you may or may not appear on. Which case(s) are you applying for? You can fill out the application in either Danish or English. Your e-mail (required) Please double check correct e-mail. PLEASE NOTICE! Each participant from the team HAS to apply for the competition. Experience/Education. Write shortly about your education. Can you see a connection between the case or the case company? Or something else? etc. Maximum 1.500 characters. Yes, I have liked AAU Case Competition on Facebook to be updated.